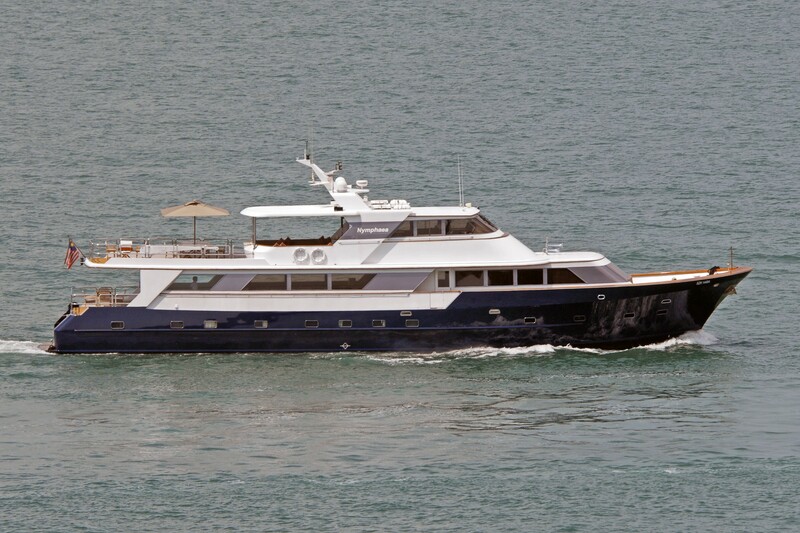 South East Asia crewed motor yacht Nymphaea (ex "Legacy") was built by Broward Marine in 1984. 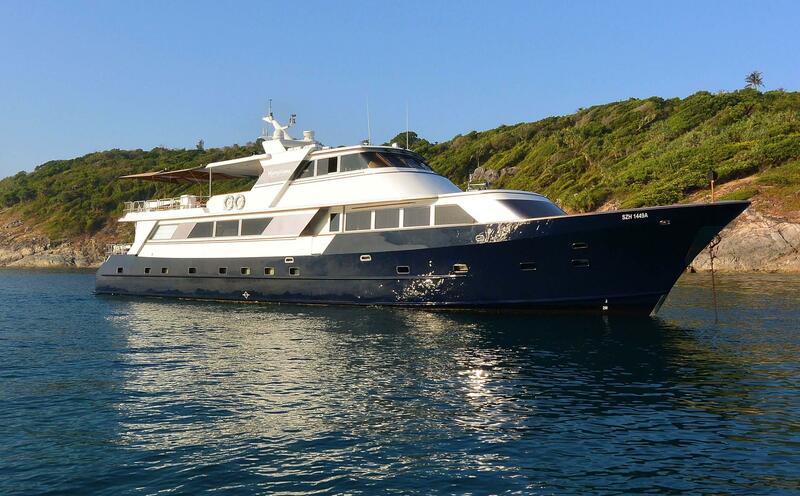 Nymphaea was refitted in 2009 and accommodates up to 7 charter guests, in 3 cabins. 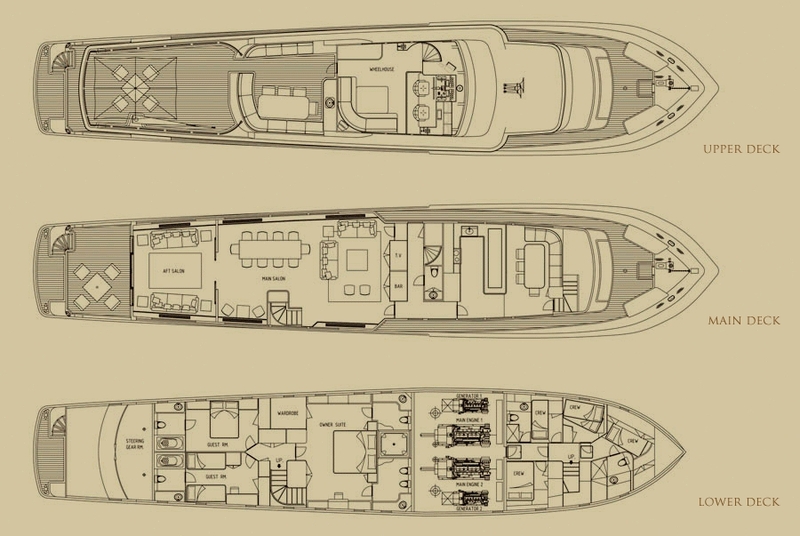 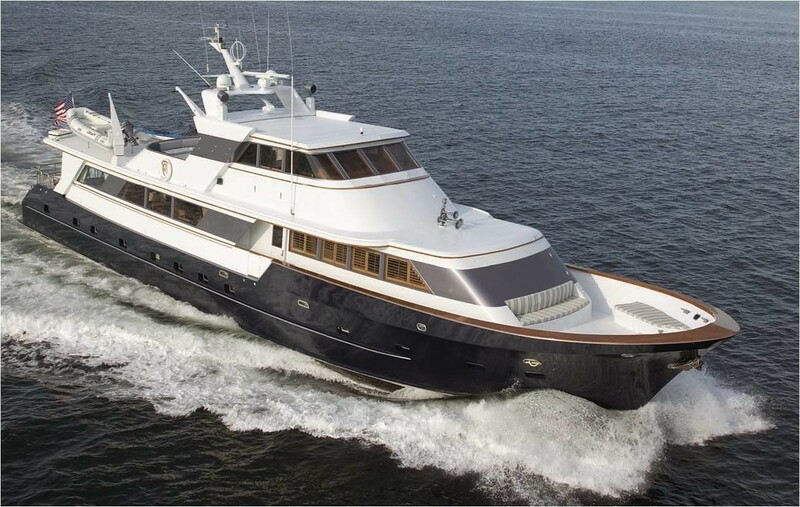 Nymphaea is a classic, super-yacht build to the highest standard of seaworthiness and comfort. 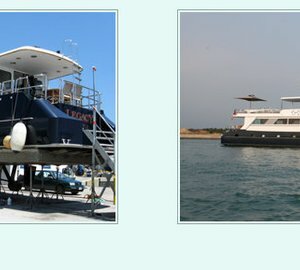 She is air-conditioned throughout and can accommodate up to 7 guests in 2 double and 2 twin cabins perfect for families with children. 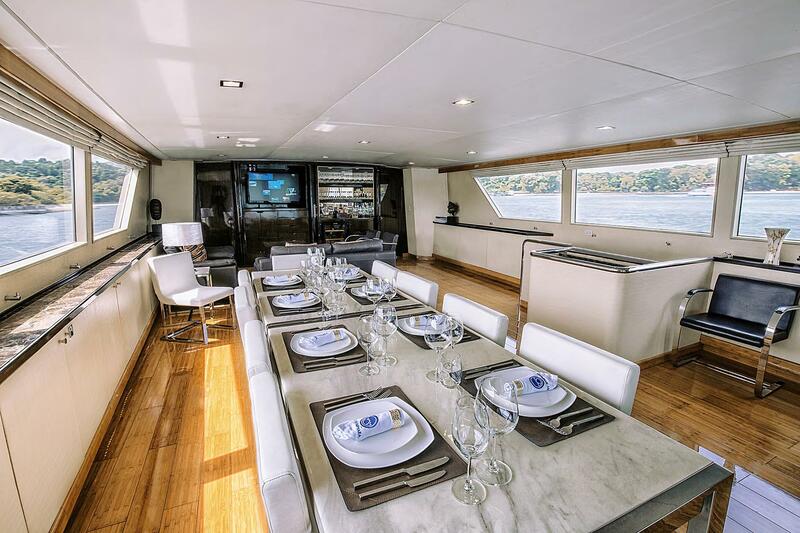 Nymphaea has a main saloon and dining room on the main deck. 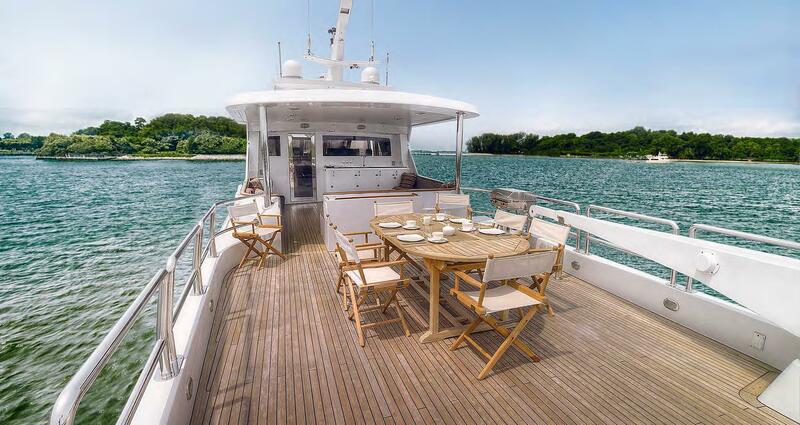 She also has 2 sundeck areas outside (the top deck has a Spa Pool!) 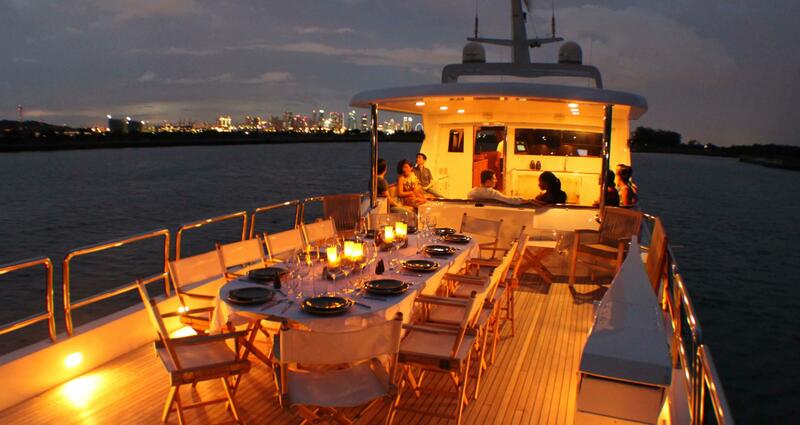 perfect for enjoying the beautiful weather and warm starry nights. 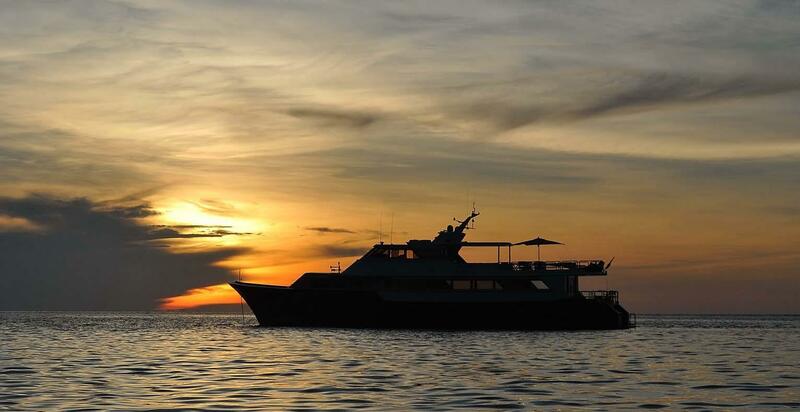 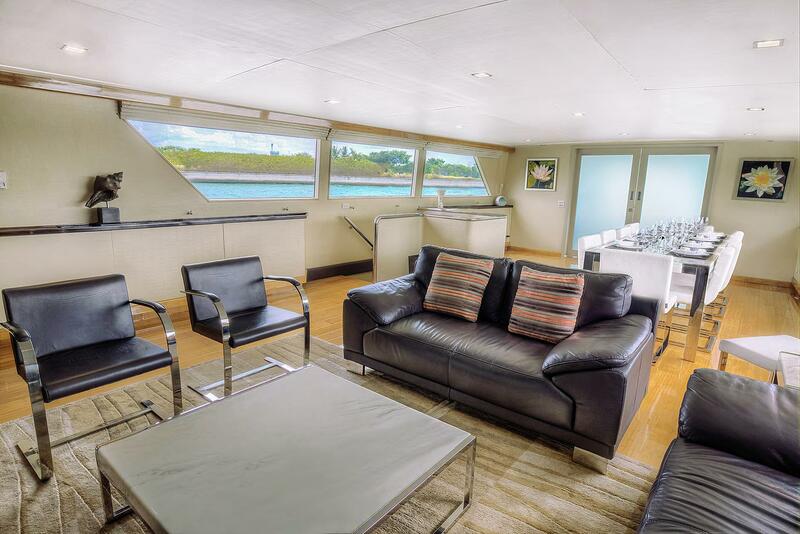 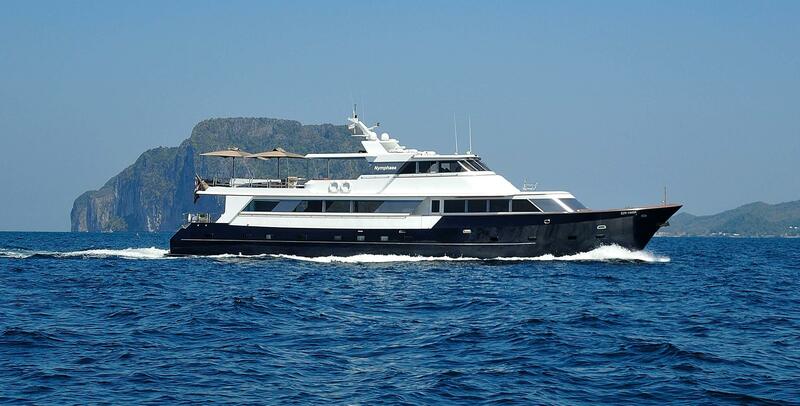 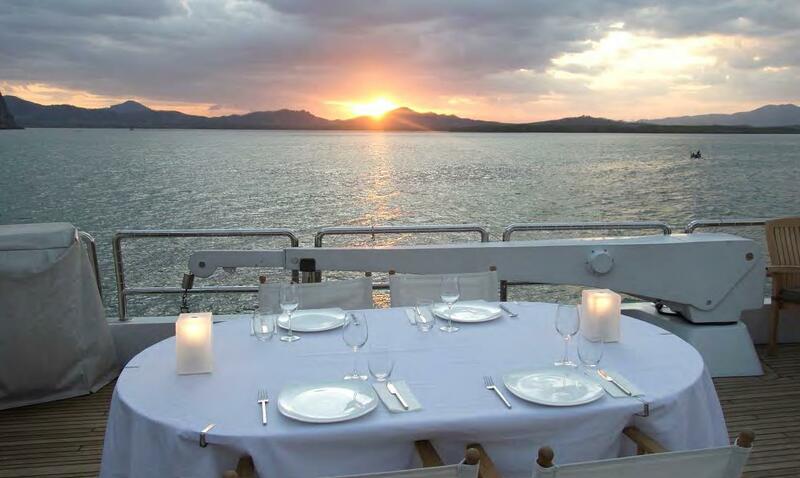 Motor yacht Nymphaea offers accommodation for up to 7 guests in four cabins including 2 double and 1 twin staterooms. 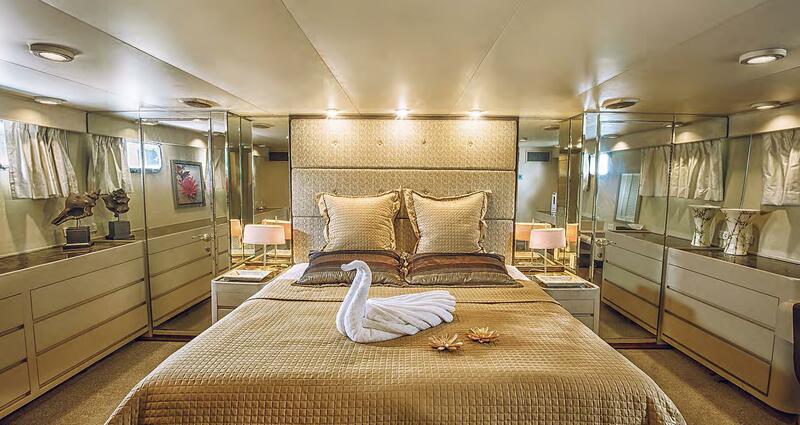 Nymphaea’s Master cabin has a king size bed, bath/tub, shower and head. 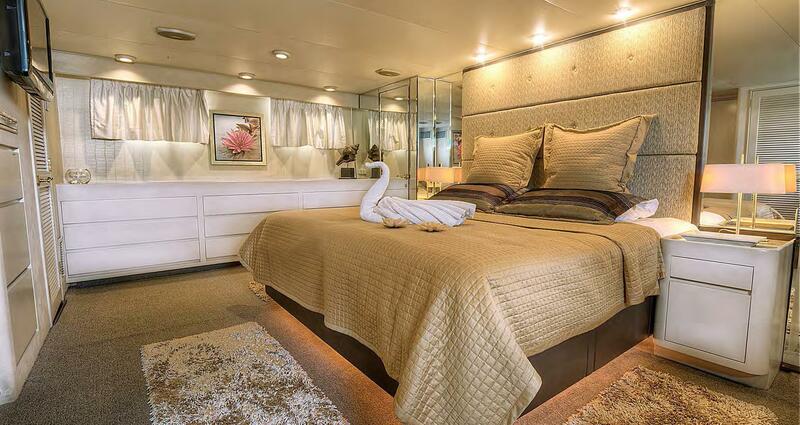 The other double cabin has a queen size bed, shower and head. 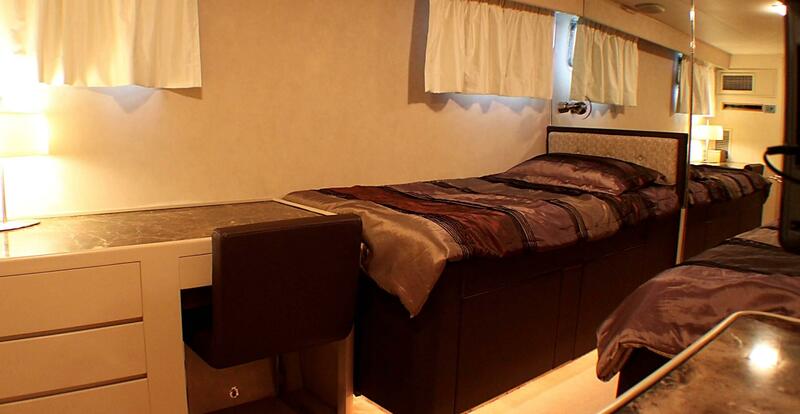 There is one further cabin with 2 single beds, shower and head. 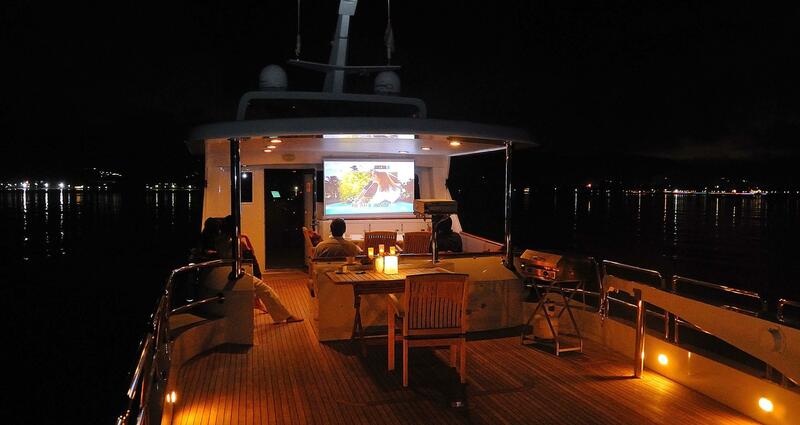 All cabins are equipped with Flat Screen TV / DVD. 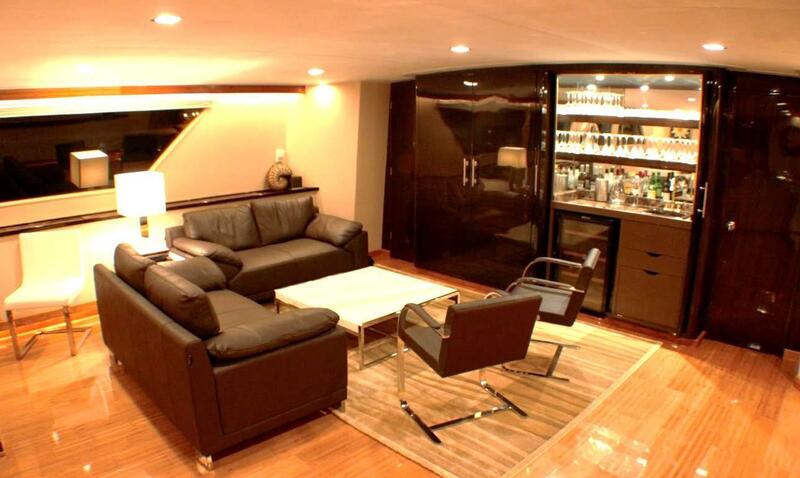 The Crew are accommodated in separate quarters and have their own heads and shower. 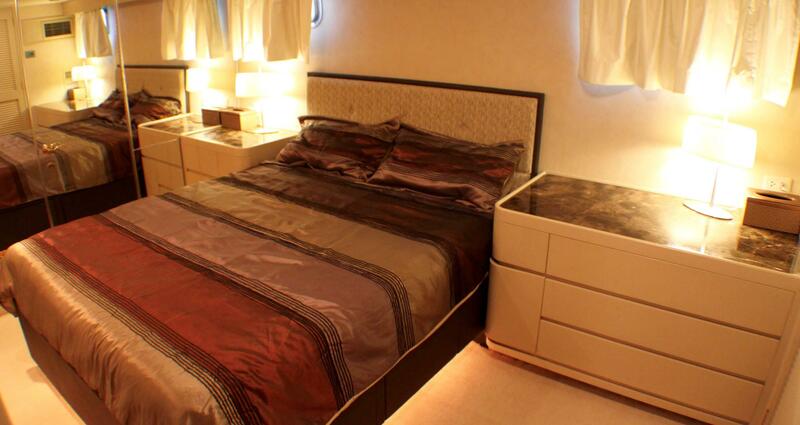 NYMPHAEA is fully air-conditioned throughout. 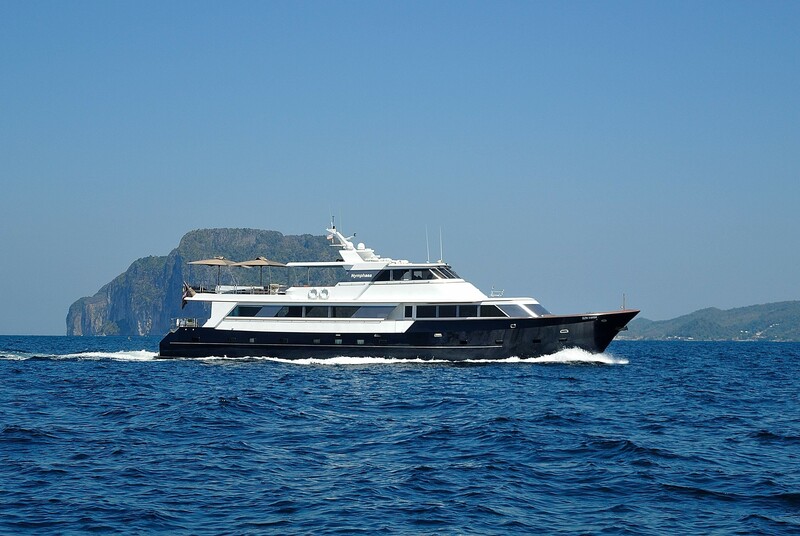 The yacht charter extras and amenities featured aboard South East Asia based Nymphaea include a Brand new twin-engine 5.8m ‘limousine’ RIB tender with bimini Large inflatable tender 2 Kayaks Fishing equipment Snorkeling gear Guest Accommodation: 1 Master 1 Double 1 Twin + 1 Pullman Audio Visual Equipment and Deck Facilities: TV, Hi-Fi and Karaoke system in main salon and flybridge Screen and projector for outdoor movies under the bimini TV and DVD player in each room TV no satellite connections; only onboard movies.